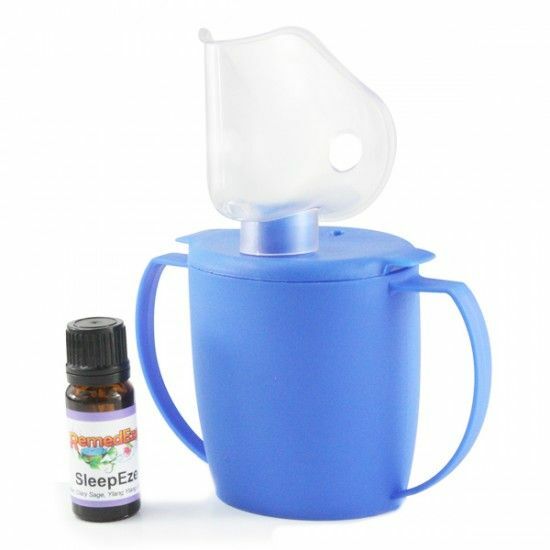 Help to alleviate insomnia or other sleep related disorders caused by tension or stress naturally with the safe and easy-to-use Steam Inhaler with SleepEze aromatherapy oil. Help to alleviate insomnia or other sleep related disorders caused by tension or stress naturally with the safe and easy-to-use Steam Inhaler with SleepEze. SleepEze is a perfect blend of 4 essential oils, each one designed to relax the mind and aid natural, prolonged sleep.